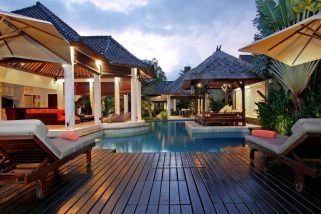 The outdoor area of Villa Firdaus is very picturesque. 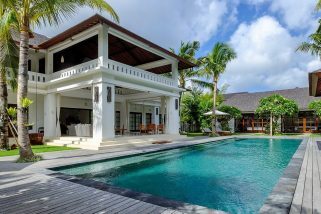 The stunning L-shaped pool that winds though the building of the villa is sure to capture the attention of the guests. 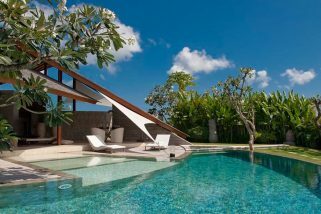 On one end of the pool, there is a rattan lounge chair which is perfect for relaxing and getting that perfect tan. 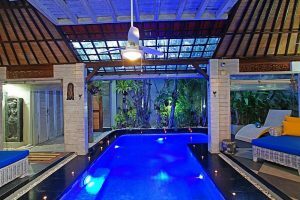 Also flanking the pool are exotic flowers and shrubs that combine with the traditional sculptures and carvings to create an inviting and beautiful exterior. 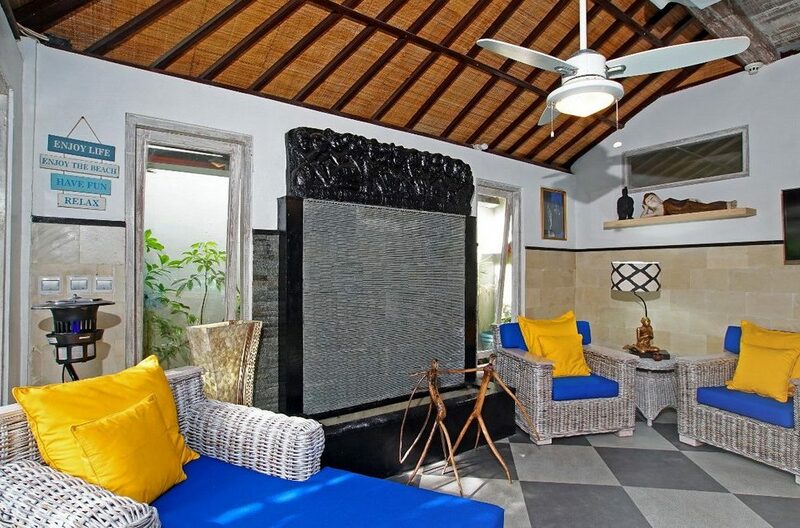 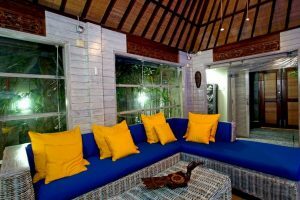 Villa Firdaus has a cozy and intimate living area which is decorated with vivid blue and yellow hues. 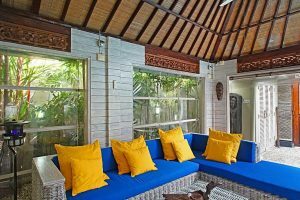 The living room is just beside the pool and guests can stretch out on the comfortable rattan sofas and enjoy a blissful day at the villa. 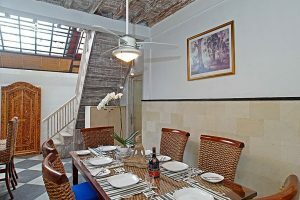 Adjacent to the living area is the stunning dining area of the villa. 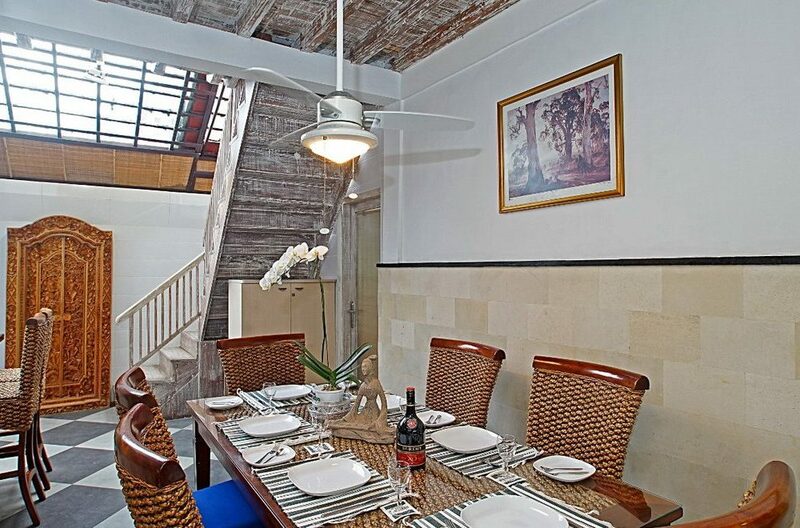 Here, guests have a beautiful 6 person dining set which is perfect for the days when guests choose to dine indoors. 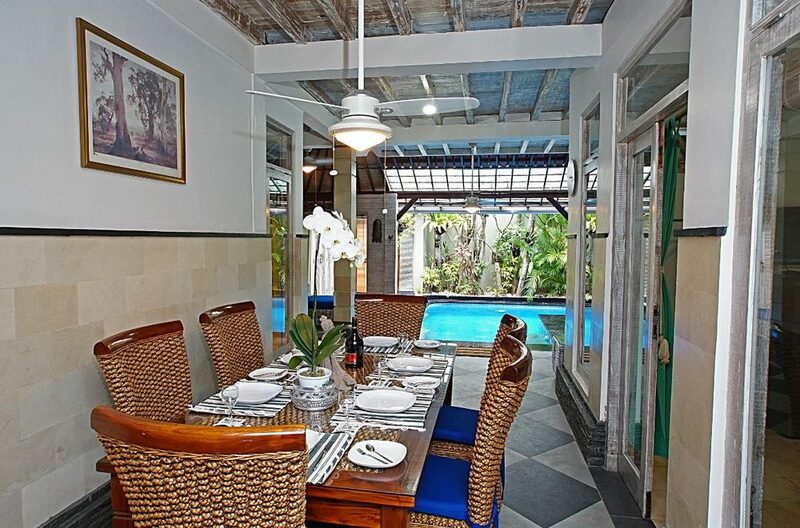 Both from the dining and living areas, guests have an unrestricted view of the pool and garden of the villa. This makes indoor relaxation just as scenic as being outdoors. 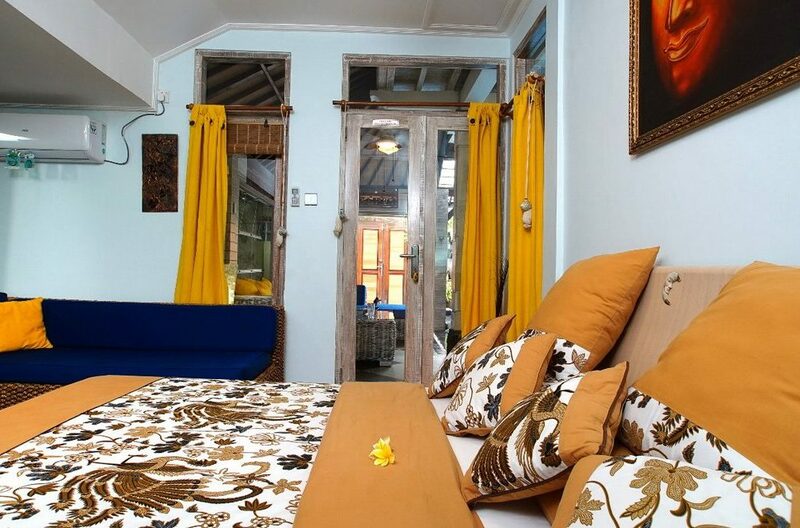 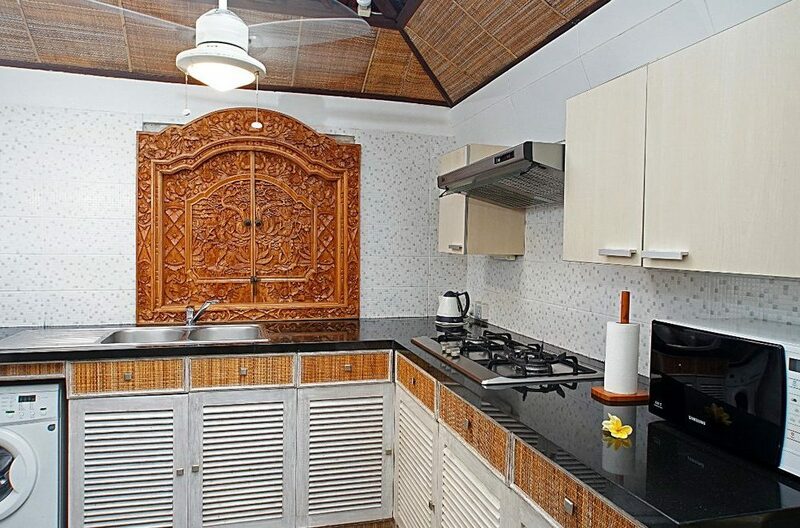 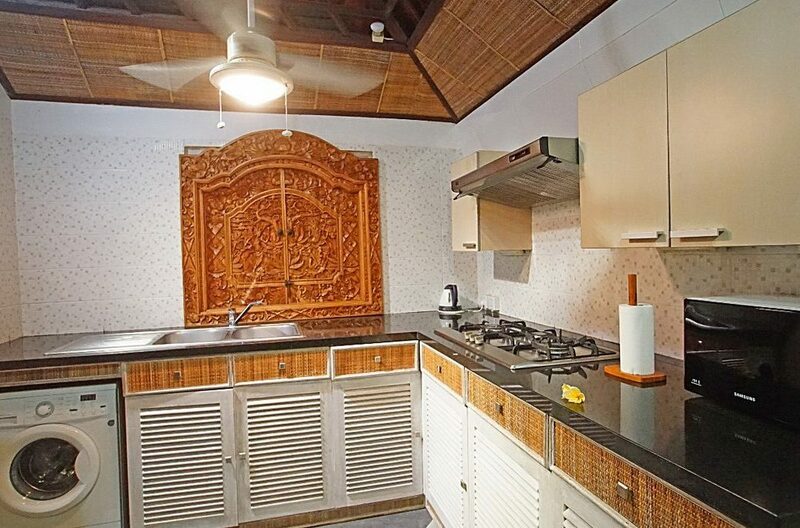 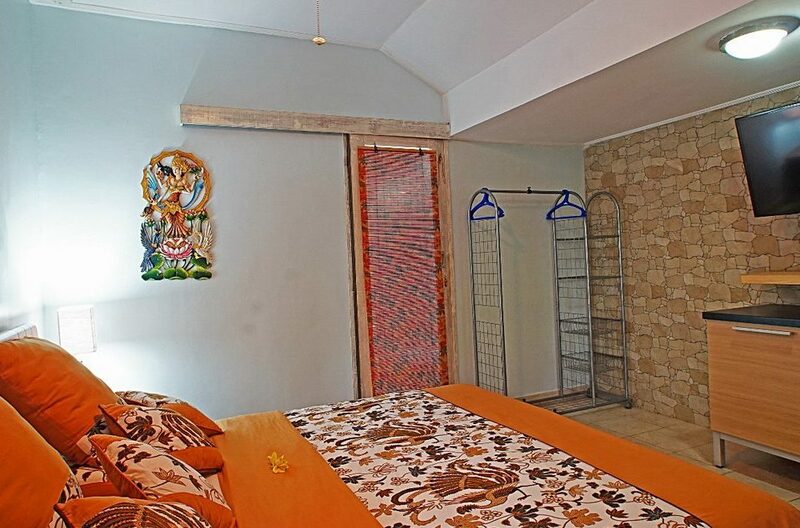 Villa Firdaus boasts of two stunning bedrooms and each one is beautifully furnished. In each one is a king bed, flat screen TV, air-conditioning, comfortable sofa and stunning works of art hanging from the walls. 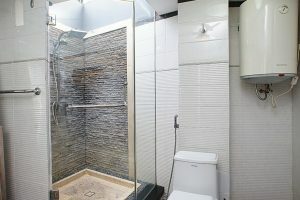 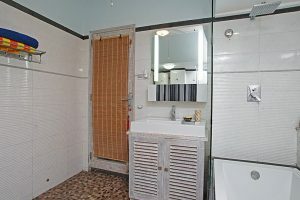 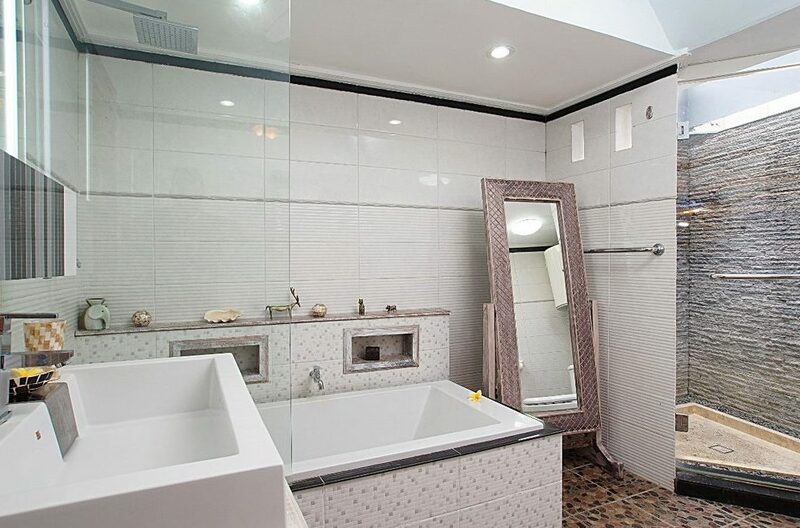 Additionally, each bedroom has an ensuite bathroom which has a rainforest shower and luxurious tub. Guests will definitely find the bedrooms comfortable, spacious and definitely relaxing. 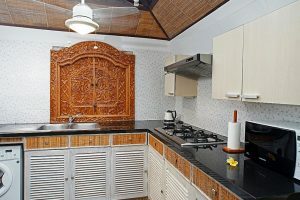 At Villa Firdaus, there is quite a number of well trained, courteous staff that are on hand to ensure that your stay at the villa is definitely pleasant. 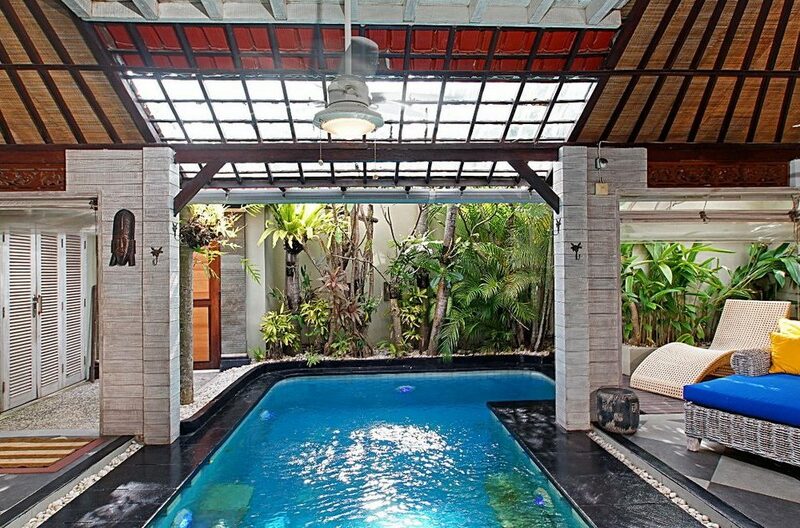 They include a villa manager, daily housekeeping, gardener and pool attendant. 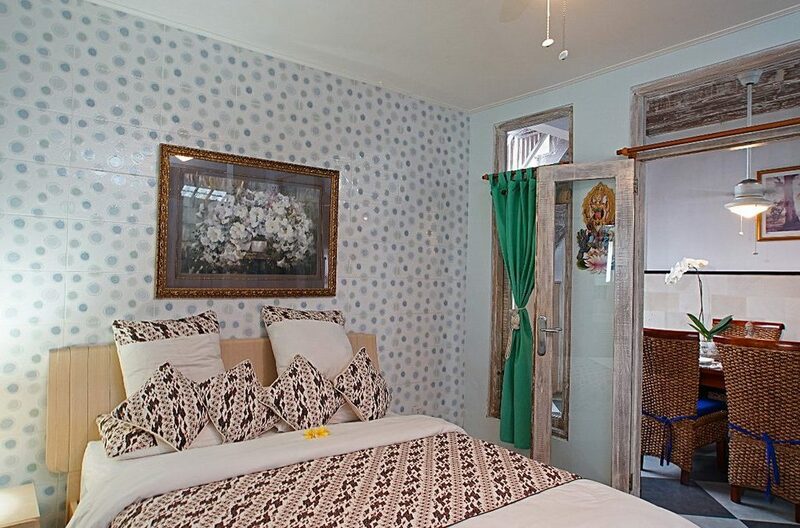 Guest will definitely feel quite relaxed and taken care of during their stay. 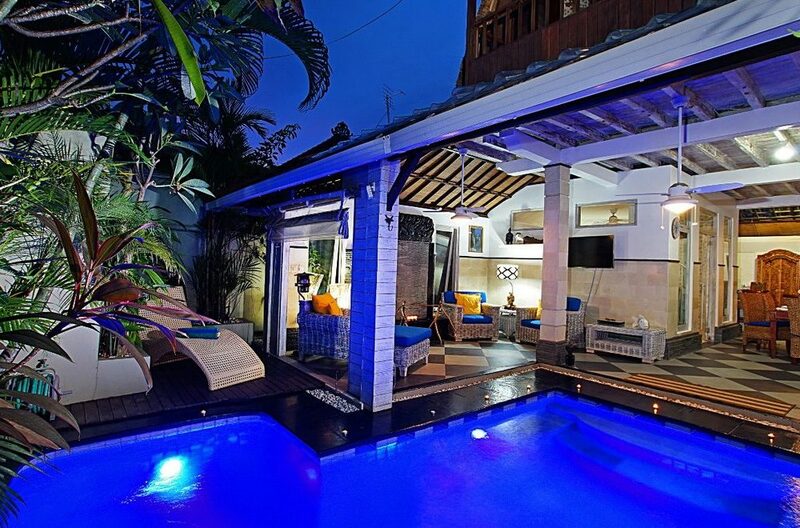 To view other Seminyak villas or more Bali Villas please use this website or contact us. 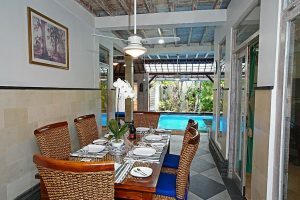 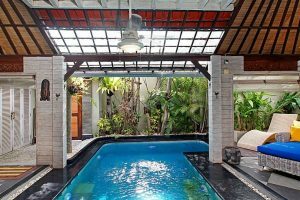 Villa Sesari is located just off Jalan Drupadi, a fantastic central Seminyak location where you can easily walk to the famous Oberoi Street, renowned for great shopping wining and dining.